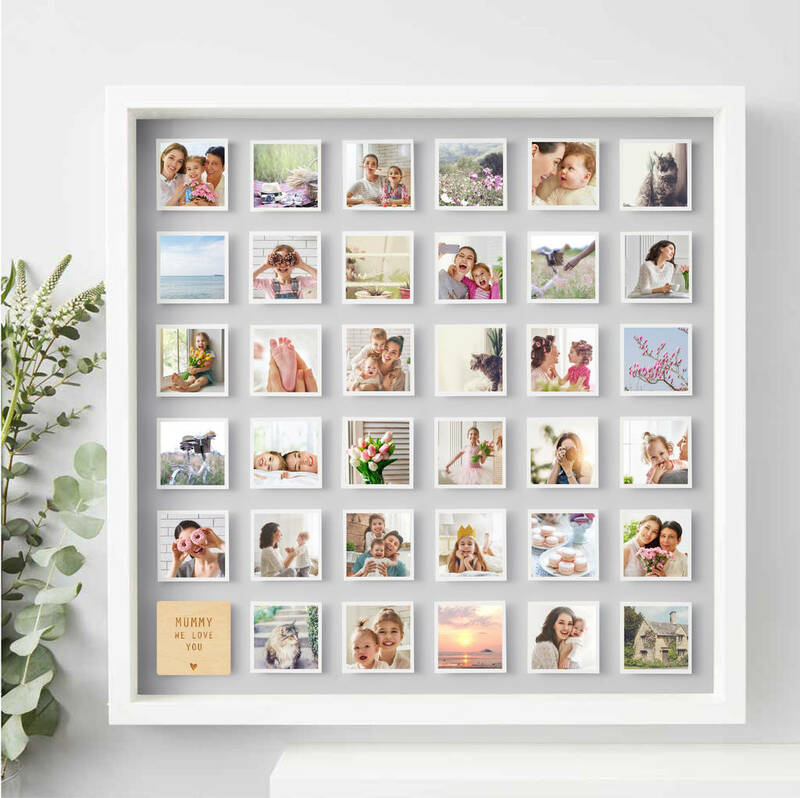 Our Personalised Photo Print makes the most thoughtful gift. 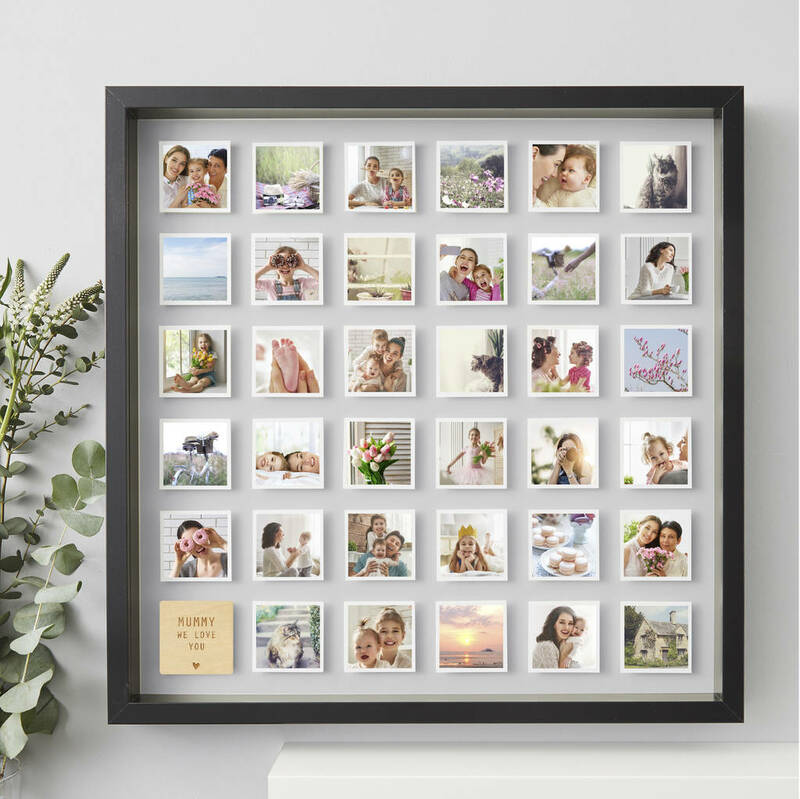 Choose your favourite memories and frame them beautifully especially for her. 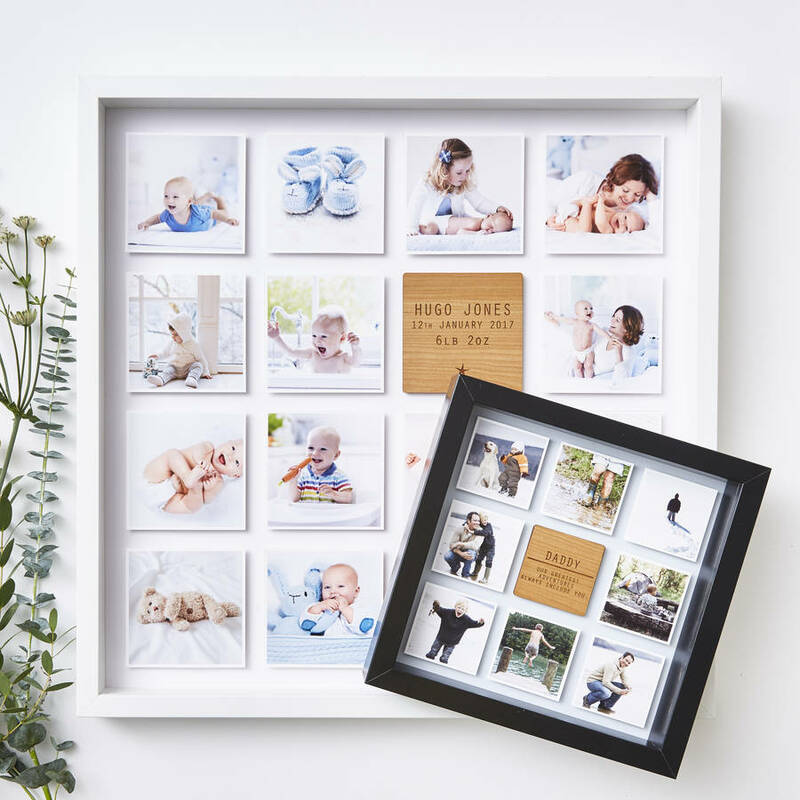 Fill with a selection of your favourite photos of you and your best friend, each photo printed and framed by Sophia Victoria Joy for you, to create a wonderful keepsake gift and timeline of memories that can be treasured and admired for years to come. 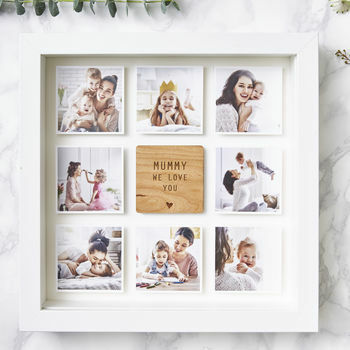 Or treat yourself and send us your own favourite photos to create a statement piece perfect for any space in your home. 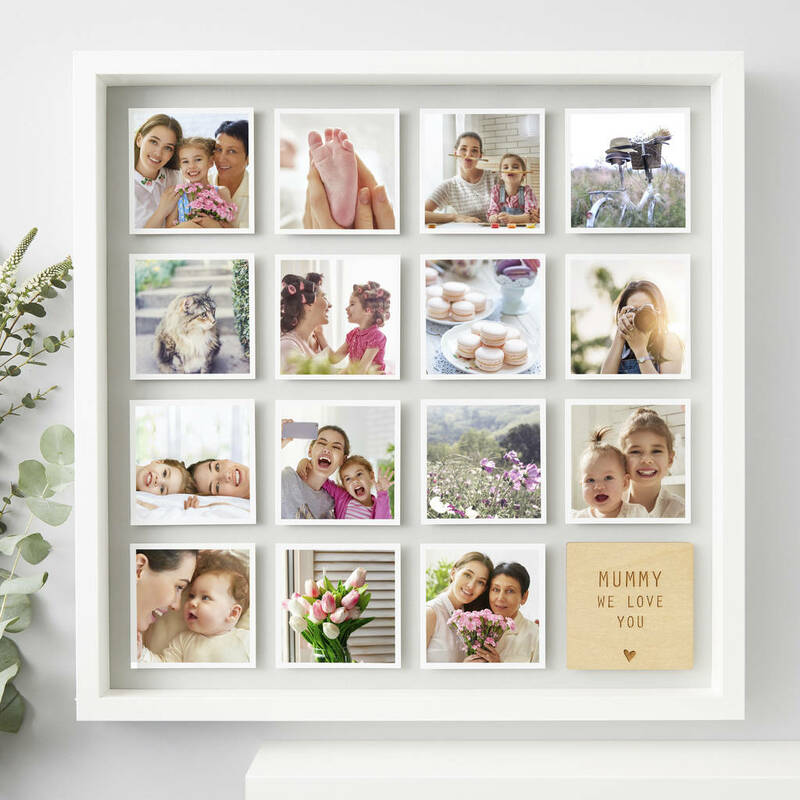 Each frame is unique to you and can be customised to suit her home. Perfect for professional photos or simply snaps from your own camera. 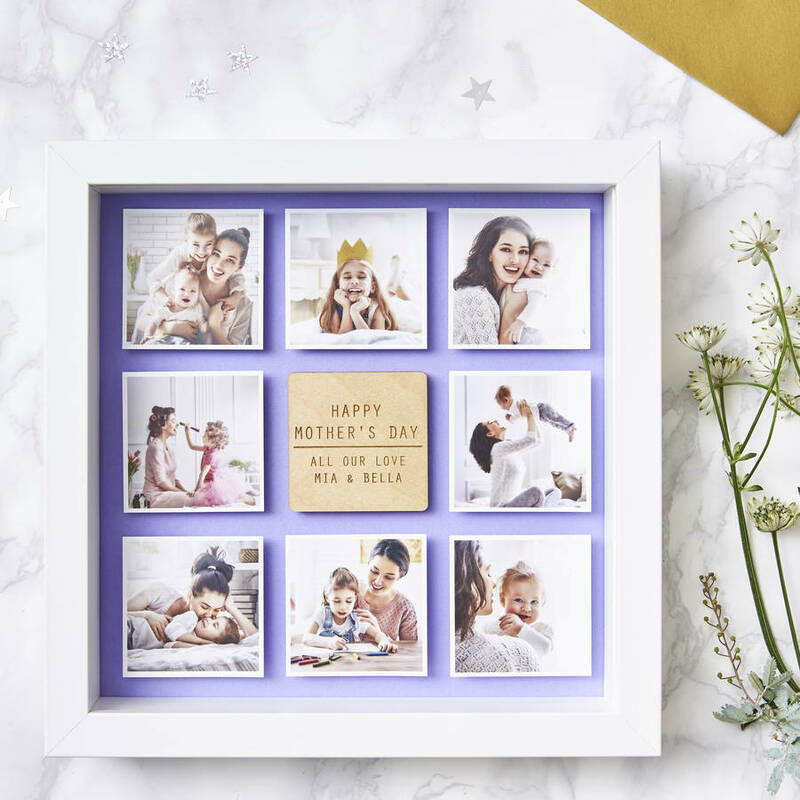 Your images will be cropped to a square to fit our frames perfectly and will be added to a backing colour of your choice to create a stunning 3D effect as if the images are lifted from the page. A wonderful Personalised photo print for Mum to show her how loved she is. 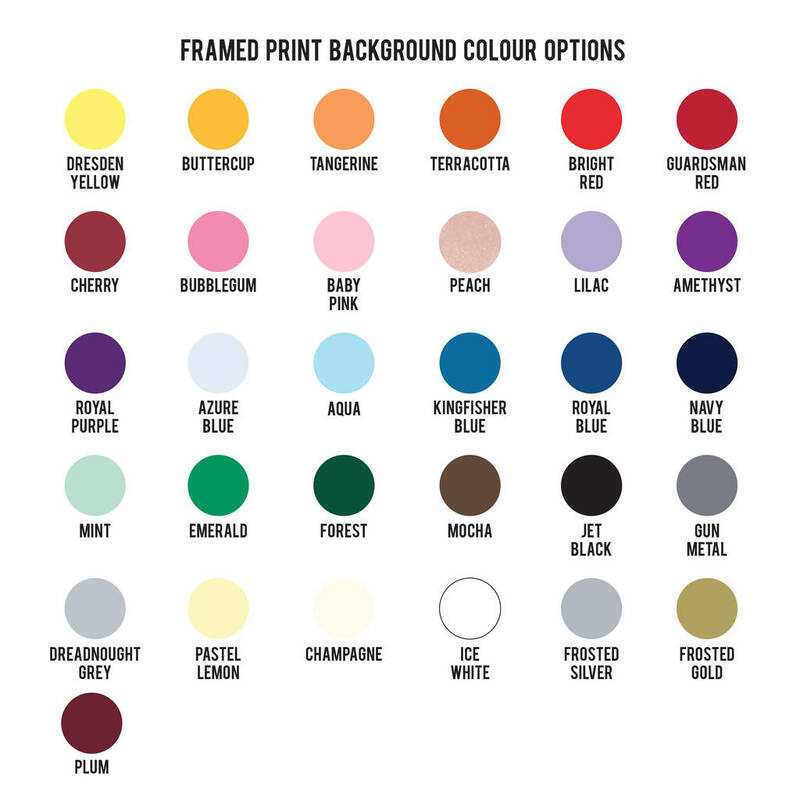 Our personalised print also comes with a beautiful high quality engraved personalised wooden plaque to add a final personalised finishing touch to your frame. 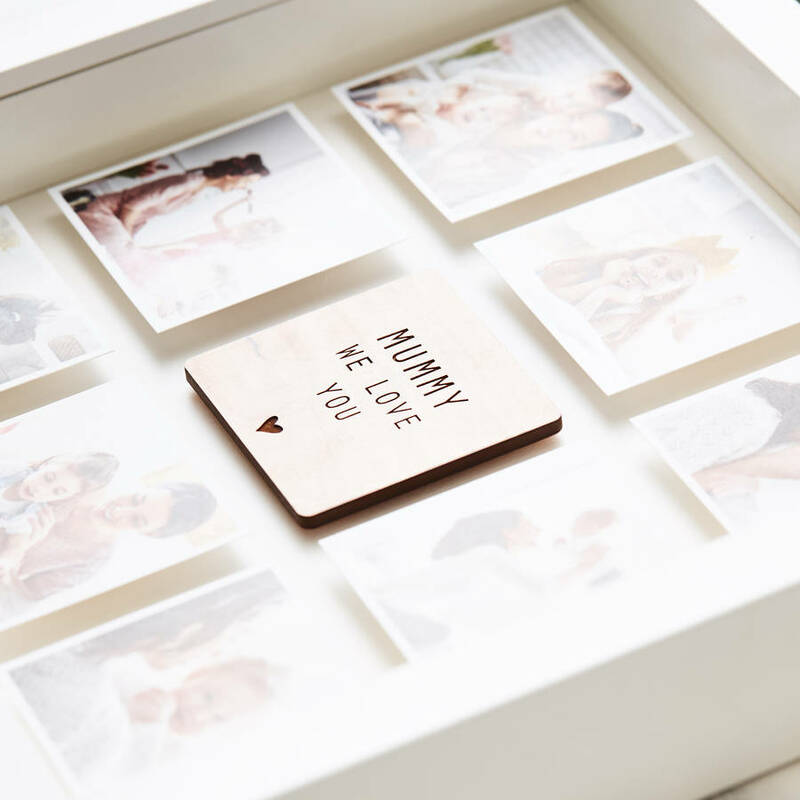 With 3 layout options, you can add a lovely message to your mum. 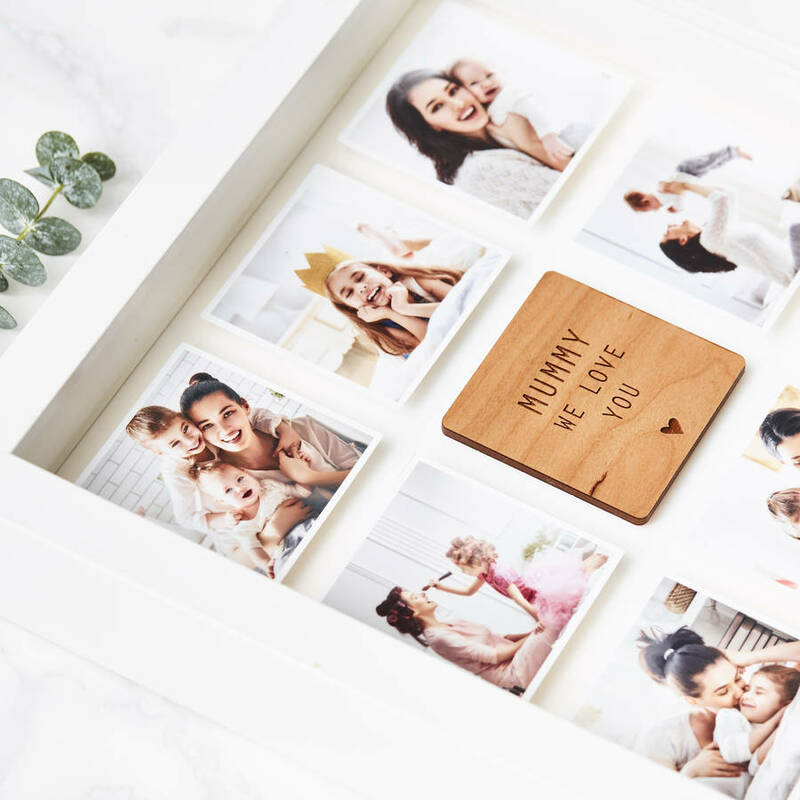 These make a thoughtful gift for all occasions, Birthdays, Christmas, Mother's Day, or a perfect treat for that special friend or family member.